It’s Day 1 of Ex-Pat Week — WNYers living out of town sending us their finds! 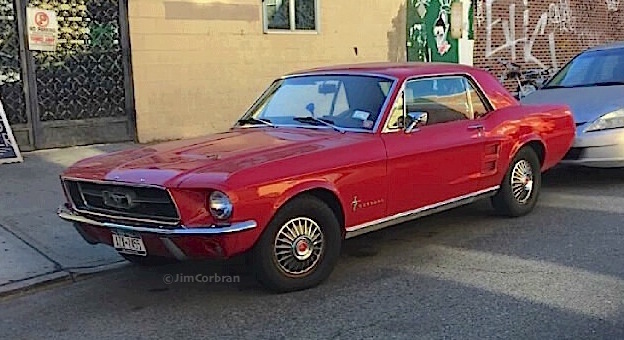 While my daughter Katie was living in The Bronx she spotted this nice-looking 1967 Ford Mustang one summer afternoon in Brooklyn. It’s wearing New York tags… but where’s the New York rust? This second-generation ponycar must not have seen any (or at least not many) New York winters in the 50 years it’s spent on God’s green earth.